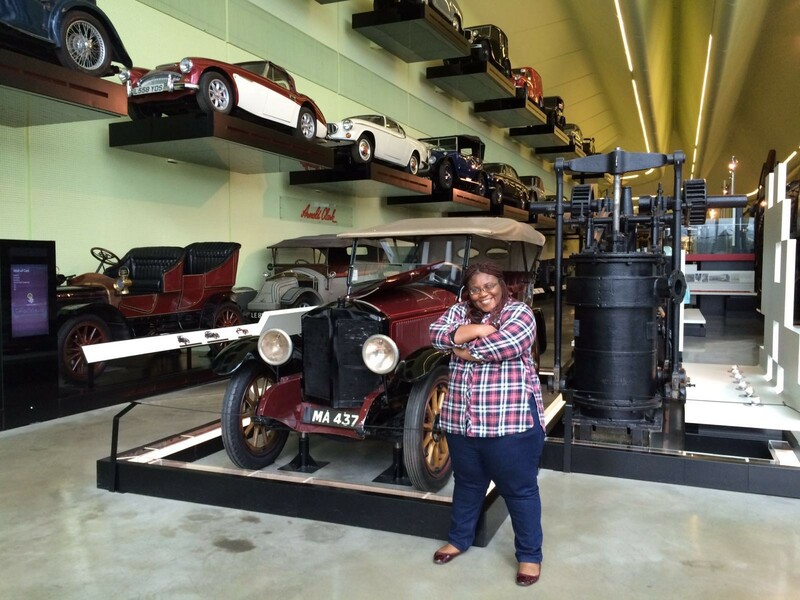 Jane at the Riverside Museum of Transport and Travel, Glasgow, Scotland. April 2016. Jane Nebe is a PhD student at the Graduate School of Education, University of Bristol with funding from the Commonwealth Scholarships Commission in the UK (CSCUK). On the first day of the year 2016, I woke up very sad and stayed that way throughout the day. I just kept wondering if the PhD programme had been worth resigning my dream job for. I had started my dream job in June 2015, and did not meet the requirement to qualify for a study leave by September 2015. The dilemma for me at the time was not if I wanted to do the PhD, but if I wanted to start the PhD by September 2015. Oh! I forgot to mention that I had received a prestigious scholarship that would fund ALL expenses for the PhD programme and it could not be deferred. Maybe I was just homesick. You see, every 1st January of the New Year was a huge celebration in my family home back in Nigeria. The day usually began with excited greetings of ‘Happy new year’, festive aroma emanating from kitchens in the neighbourhood, happy chattering, and visits to or from friends and family later in the day. On this 1st of January, I was alone. Park Street was quiet and my accommodation extremely quiet. This was not unusual though because some mornings in Bristol are always like that. But this morning, I felt the silence was too loud. In addition to the feelings of aloneness, was the stress of writing two essays for my assessed units that were due for submission in some weeks’ time; as well as the preparation for my next supervision meeting later that month. On that day, the 1st of January 2016, I began to contemplate dropping out of the PhD programme. Students’ mental health is something that the University of Bristol takes seriously. We should take it seriously too. I was aware that professional counselling was available at the Student Counselling Service, but it was not an option I considered. At the time, seeking professional help meant acknowledging somehow that something was not right with me. That definitely wasn’t my persona, because I am a Superwoman. Or was I not? I remain grateful to my friend and PhD colleague who sensed from our conversations that something wasn’t right and kept listening to me, while encouraging me again and again. Then, I decided to do something different from research, something to be excited about. So, I started swimming lessons at the university’s swimming pool. I thoroughly enjoyed myself while the lessons lasted. I am yet to cross the line between learner and swimmer though. Over the past few months, I have learnt to extend my life experiences in Bristol beyond the triangle enclosed by my house, school and church. It has been very beneficial to my mental health. Whenever I start to feel overwhelmed, I take time-outs. My past exploits include visits to the aquarium and museums, taking a boat ride, walks by the harbour side, joining the gym, travelling, learning to skate, and so on. Just forgetting work and having fun! Afterwards, I return to my research refreshed and reinvigorated, to excel as always. Most importantly, I have decided that if 1st January 2016 ever happens again in the nearest future, I would seek professional help because ‘I ain’t a Superwoman’ after all. So tell me, how do you maintain your mental health? This is coined from the ‘Ain’t I a Woman?” speech that is attributed to Sojourner Truth (1797–1883), who was born into slavery in New York.